> Pet Products>Health and Hygiene>Coat & Skin Care>Angels Eyes Shampoo 16 oz. 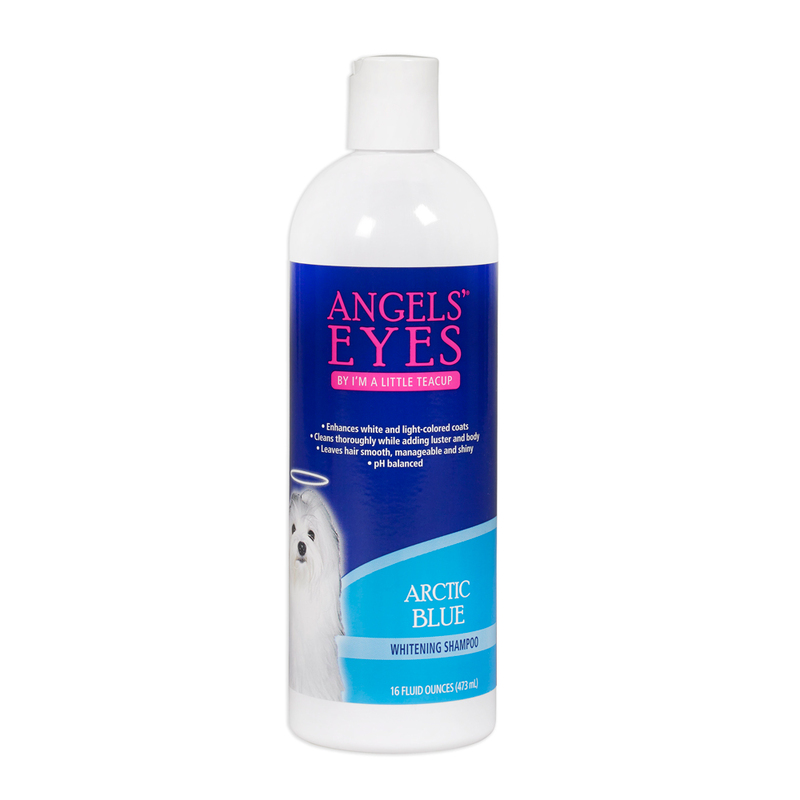 Angels Eyes Shampoo 16 oz. 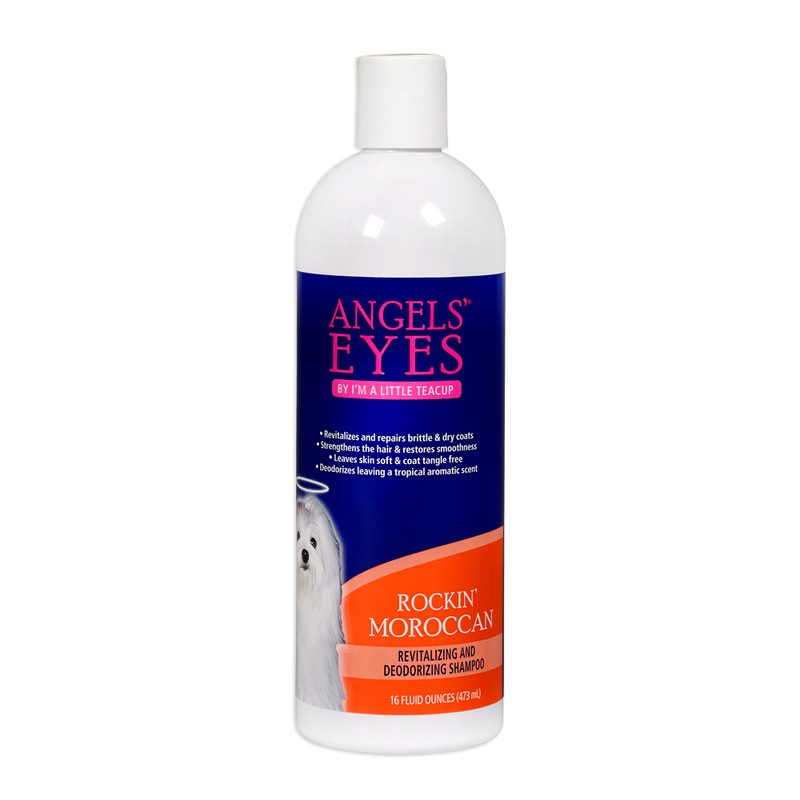 Angels’ Eyes® Whitening Shampoo is an extraordinary, tearless, protein enriched shampoo that produces brilliant white coats and produces a lustrous sheen on any light colored coats. It cleans thoroughly while adding luster and body to the coat without harsh bleaching. Our Whitening Shampoo controls matting, tangling, and fly-away hair. Its rich lather rinses out easily, and with a fresh tropical scent. Angels’ Eyes® Revitalizing and Deodorizing Shampoo restores smoothness and gives life to dry, tangled and damaged fur, while leaving your dog with a long-lasting tropical aromatic scent. Rockin’ Moroccan™ uses the natural vitamins and minerals in Argan oil to strengthen and moisturize the hair to promote elasticity and rejuvenate the coat. Rockin’ Moroccan™ is ideal for dry to normal coats or for everyday grooming, leaving the skin soft and the coat tangle free. Paraben-free.